Pakistani actor Fawad Khan on Wednesday said that he never faced any issues working in India and the groups that work against Pakistan should be ignored. 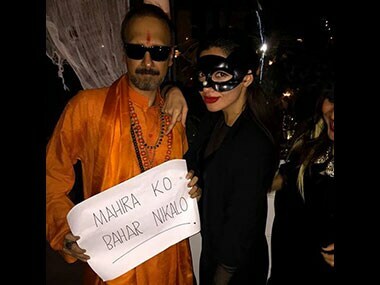 Mahira Khan apologising for the Halloween picture is as absurd as a cartoonist apologising for making fun of a politician. Popular Pakistani actor Fawad Khan, who is making his debut in Bollywood with the remake of Khoobsurat, said his entry into Bollywood was not pre-planned.